Colorado offers so much for all interests and during all four seasons. 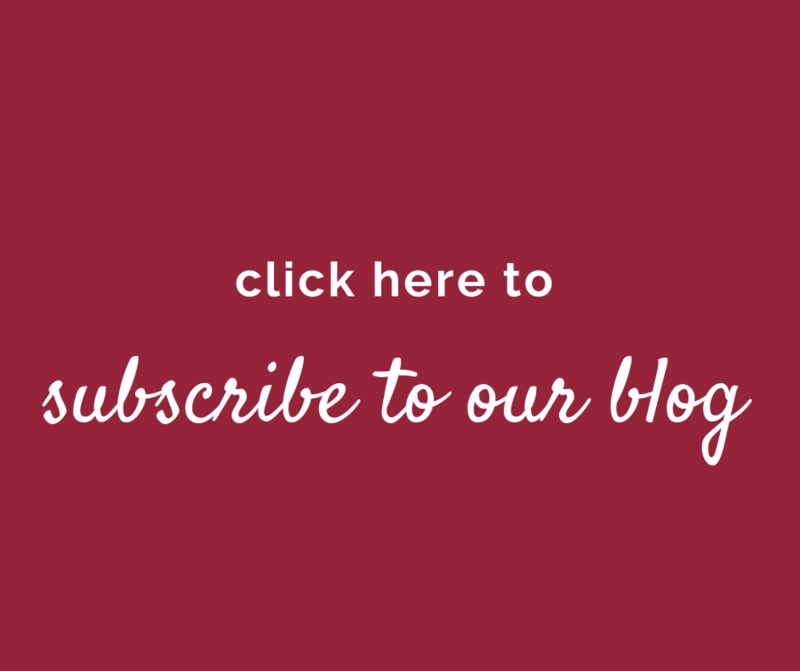 Take a look at our comprehensive list below–it could serve as your bucket list of places to visit and experiences to share. Bring family and friends to join in the fun. If you have any questions or would like to add an experience, please feel free to contact me. Memorial Park – Prospect Lake: ADA playground, 1 wheelchair accessible fishing dock, 1.25 mile loop paved path around the lake. John Venezia Park – The “Corral” has a universally accessible playground with shaded structures as well as a paved walking path around the park. 126 Cimino Drive, near W. Colorado Ave & Cimino. 21 acre park, Jule Penrose Fountain, 15,000 square foot playground, ADA Accessible. Julie Penrose Fountain, concerts and festivals throughout the year. 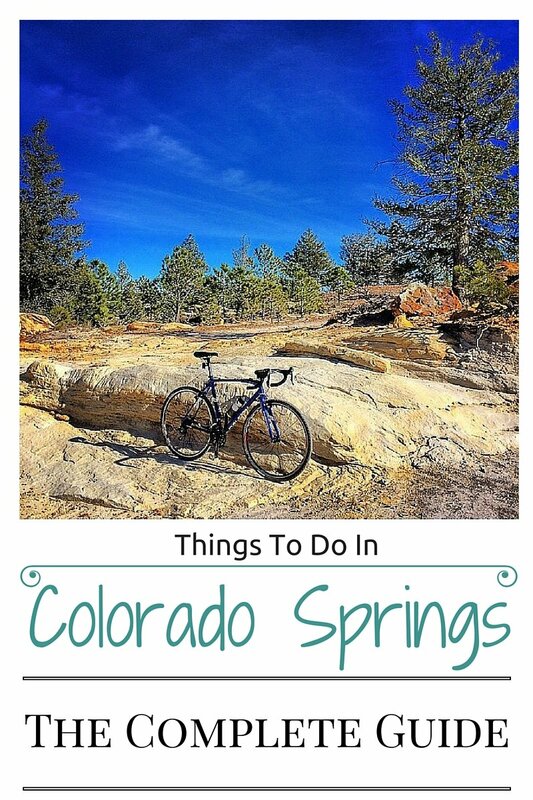 Easy access to the east-west Midland Trail or the north-south Pikes Peak Greenway Trail. Map of park on website. History of the world seen through money including American gold coins, experimental pattern coins and paper money. Free kids story times and activities. Summer reading program. 245 Bear Creek Road, near 26th Street & Lower Gold Camp Road, 719-520-6387. Hike the foothills or attend an interpretive program or special event. Guided and self-guided tours are available, along with media presentations. Nature Center also offers many public programs, childrens nature series and the nature camps that require a fee and a reservation. See website for details. Hiking: Nature trails are for “foot traffic only” and pets are prohibited; regional trails are open to hiking, horseback riding, & leashed pets. Programming based on physical, emotional, cultural and social needs, interests of boys and girls, and recognized developmental principles. Clubs (2 locations) E. A. Tutt Club, 1455 South Chelton Road, 719-570-6242; The El Pomar Club, 805 Praderia Avenue, 719-473-3490. Kids Club 360 (3 locations) aimed at supporting low-income and military families – see website for more details and summer offerings. Sangre de Cristo Arts Center, 210 N. Santa Fe Avenue, Pueblo , 719-295-7200. 12,000 square-foot, two-level facility offers innovative, hands-on exhibits focusing on the arts, science & history.  6252 West 104th Avenue, Westminster, 303-469-5441. Interactive exhibits: butterflies, arthropods, sea animals, & vertebrates. Butterflies released daily-check website for schedule. Fully accessible for special needs.. Explore the underground – but bring a jacket for the Discovery Tour, Lantern Tour, or Caving 101. Canopy Hall and Nature Center are wheelchair accessible, but the cave itself is not. Pikes Peak Play Park (lower level by Sears). Glow Golf: 266-5533 (located inside Chapel Hills Mall). Open swim available on scheduled days. Lap swim, swim classes, handicap lift in the shallow end. Mountainside setting, mirroring natural habitats, over 200 species. Bldg. 7800, 1050 Titus Boulevard, Fort Carson, 719-526-4102. Open year round – see website for fees & hours. Golf Course – 18 hole course and driving range open to the public. Junior Golf Course – 3 hole course, FREE to children, including club use. Family Course – FREE to families, Wednesdays after the second twilight time. Parks, Trails & Open Space: links to parks, sports complexes, maps, pavilion reservations, etc. Cultural Services: links to Pioneers Museum, Rock Ledge Ranch, Garden of the Gods, Starsmore Discovery Center, Helen Hunt Falls, etc. Recreation: links to adult and youth sports, community centers, Sertich Ice Center, golf courses and aquatics. Year round theater productions for adults and children. Mainly for disabled athletes, ages 7 and older, but anyone can play. Season runs from September to March. Baseball league for boys and girls, ages 5-18 (or the completion of HS) with physical and mental disabilities and “buddies”. Teams are set up according to abilities rather than age, with three levels: Tee-Ball, Coach-Pitch, and Player Pitch. 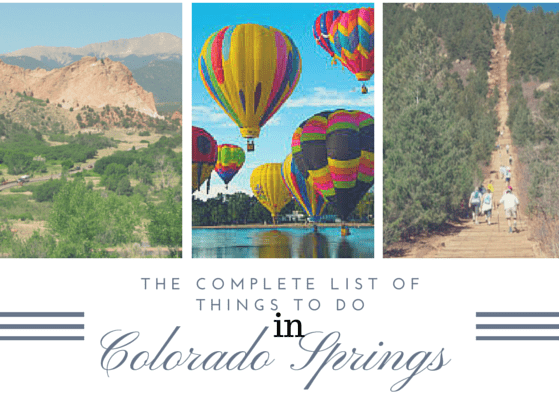 A collection of the history and culture of Colorado Springs and the Pikes Peak region. Permanent exhibits, special exhibits, and special events – check website for more information. See website for information on Children’s Story Hour and the Junior Docent Program. Outdoor activities vary by park, but often include hiking, picnic grounds and camping; daily fees apply for all state parks. Specialty passes available to qualifying individuals – see website for information. Kids games, activities and wildlife education links on the website along with information on checking out a Family Activities Backpacks at select parks (Cheyenne Mountain on list). Handicap accessibility link on website for specifics on individual parks. Cheyenne Mountain State Park: Colorado Springs. Hiking, wildlife viewing, archery range, biking, picnic areas and camping. 20 miles of trails – Acorn Alley Trail is listed as “universally accessible”. Castlewood Canyon, Franktown. Several hiking trails (some dog friendly), picnic areas, and ruins of 1933 dam. Mueller State Park, off Hwy. 67 in Teller County. Biking, camping, educational programs, hiking, horseback riding, picnicking and more! Lake Pueblo State Park, west of Pueblo. Hiking, biking, picnic areas, marina, campground, swim beach and more! 4729 Twin Rocks Road, Divide, CO, 719-687-9742. Interactive, educational tours and programs regarding wolf and wildlife conservation. Tours available (reservations/fee): Standard, Full Moon, Feeding & tours. 520 E Carr Street, Cripple Creek, 719-689-2640. A century-old steam locomotive, 4 mile round-trip in 45 minutes. Open Memorial Day weekend through Mid-October. Handicap and wheelchair assistance, available from staff, call for details. 510 Bennet Avenue, Cripple Creek, 719-689-9540. Three buildings filled with gold rush history, plus special events on website. Plus links on website to: Doll & Toy Museum, Santa Fe Art Walk, Railroad Museum, Firefighter’s Museum and more! Headquarters building of the CSFD contains the museum collection of fire fighting items and memorabilia. Regional Parks include: Bear Creek, Black Forest, Clear Spring, Falcon, Fountain Creek, Fox Run, Homestead Ranch, and Paint Mines Interpretive. Playground, picnic pavilions, tennis & basketball courts; exercise course; cycling, dog park, & more! Playground, picnic areas, hiking, fishing, horseback riding, volleyball & more! Nature Centers at Bear Creek and Fountain Creek offer nature camps, programs, a family outdoor club. Dog parks are at Bear Creek and Fox Run. More areas listed on the website. Rich & diverse fossil deposits to explore. Visitor center, outdoor exhibit and Ponderosa Loop Trail, fully wheelchair accessible, weather permitting. Attractions: Kid’s Corner, Whit’s End Soda Shop, KYDS Radio, Camp What-A-Nut; Birthday party options available. Shortgrass prairie ecosystem, wetlands, wildlife, childrens programs. Interactive exhibits in the Nature Center – center is handicap accessible. Interpretive exhibits, scheduled hikes and walks, map of area on website. Walk along the river, ride a riverboat, or attend a special function such as Boats, Bands & B-B-Q or the Farmers’ Market – Check the website! Denver: History Colorado Center, Byers-Evans House Museum, and Grant-Humphreys Mansion. Fort Garland: Fort Garland Museum & Pike’s Stockade. Georgetown: Georgetown Loop Historic Mining and Railroad Park. Leadville: Healy House Museum & Dexter Cabin. Pueblo: El Pueblo History Museum. Check website for information on parking. You can take the bus from Manitou Ave up to the trail head. 2418 West Colorado Avenue, 719-471-9391. Call for current hours and admission prices to Magic Town. Hwy. 24 west to Cliff Dwelling Road, (800) 354-9971. Authentic Anasazi cliff dwellings & Anasazi museum. Steps and narrow passages inside the dwellings are not accessible to wheelchairs, but front of dwellings can be seen from ramp. Wheelchair customers are free. 110 Pawnee Avenue, Manitou Springs. Older, but unique playground: walk the plank, secret towers & more. 202 Manitou Avenue, Manitou Springs, 719-685-9735. Ozone-treated water, pool chair-lift, water slide, swim lessons, and baby pool (summer hours). Open to the public with daily rates and punch cards. 710 Rock Creek Canyon Road, south of Colorado Springs, 719-576-0450. Displays of giant tropical insects, arachnids, butterflies, moths, beetles, spiders and scorpions. Victorian home full of Colorado Springs history. Download your own map, a chart with the mineral content, and other information from website & go on your own walking tour! Wear comfortable shoes & bring a cup for tasting! 9388 Hwy. 67, Cripple Creek, 719-689-2466. America’s only vertical shaft gold mine tour – descend 1,000 feet! Free gold ore specimen at end of tour. 201 N. 1st Street, Canon City, 719-269-3015. 32 cells filled with exhibits that link the past to the present in this historical cell house. Check website for information on days you can get into national parks for free. Popular for hikers, cyclists, equestrians and families, with several access points from Woodmen Road to the Palmer Lake Recreation Area. Trail has a gravel surface and a gradual 1,200 foot drop heading north to south. 1,600-acre park, includes hiking & picnic areas. Starsmore Discovery Center, North Cheyenne Cañon, plus maps of both. Link to trails in North Cheyenne Canon & Stratton Open Space. Details on Columbine, Mt. Cutler, Silver Cascade Falls, Spring Creek (connecting trail), St. Mary’s Falls (Pike Nat’l Forest), Captain Jack’s, Seven Bridges (Pike Nat’l Forest), The Chutes, and Stratton Open Space Trails. 5050 Pikes Peak Highway, Cascade, 719-684-9432. A Christmas themed family amusement park. Stroller rental available, handicap accessible. 24th-28th Streets and Colorado Avenue. 150+ year-old town with 120+ unique specialty shops, boutiques, galleries, and restaurants. Bancroft Park – Colorado Avenue & 24th Street. Events in Old Colorado City include: Art Walks – 1st Fridays, Territory Days, a Farmer’s Market, and more! Check website for more information. Walking Tour App available on website to download. Park maps for Garden of the Gods, Memorial Park, North Cheyenne Cañon Park, Palmer Park, Red Rock Canyon Open Space. Wayfinding Maps for: Cottonwood Creek, Homestead, Midland, Pikes Peak Greenway, Rock Island & Shooks Run, Sinton & Templeton Gap. Over 250 arcade games – a penny & up, many 25 cents. Games include: antique to current video games, pinball machines, skeeball and coin operated rides and more! Adjacent to the Broadmoor Hall, formerly the Carriage House Museum. Displays include: 31 horse-drawn carriages, 13 motorized vehicles (including Pikes Peak Auto Hill Climb race cars, circa 1920’s), Native American artifacts, antique firearms & vintage riding tack-saddles. Website links: Hike & Catch the Train, Bike & Rail, Barr Camp & more! Drive to the top and stop along the way – picnic, hike, fish, ranger program. Plan 2 -3 hours; gate hours change with season. Special Collections on regional history, genealogy, manuscripts & archives, in the adjacent 1905 Carnegie building. Hiking area on the south side of Pikes Peak re-opened after over 100 years. Little Richard’s Toy Store: Classical, whimsical, and educational toys that foster creativity. Poor Richard’s Books & Gifts: Good-condition used books; children – adult. 6 miles east of Pueblo on US Hwy. 50 (Pueblo Memorial Airport). 28 aircraft on display – WWI thru Vietnam era, includes B24 aircraft museum. Displays of uniforms, arms, & other relics (WWI – present). Active duty/children get free admission. Home to over 120 species; easy stroll using strollers or wheelchairs. Summer camps, birthday party options. Between Manitou Springs & Colorado Springs, along Hwy. 24. 787 acre preserve – hiking, biking, climbing (register at Garden of the Gods Visitor Center), trails and more. Dogs welcome on leashes, except two trails. 3105 Chambers Way, off Gateway Road, on the edge of Garden of the Gods Park, 719-578-6777. Living history farm and museum that depicts life in the Pikes Peak region in four time periods. Event Calendar: Earth Day, Opening Day, Sheep Shearing, Family Fourth, Labor Day Vintage Baseball Game and more! See website for details and current information. 201 S. Fairview Street, Woodland Park, 719-686-1820. Wide collection of fossilized dinosaurs, marine reptiles, and other reptiles. Check out website for special events and information on group tours and birthday parties. Discounted tickets when purchased online. Trailhead off Gold Camp Road, 6 mile loop, 800 feet elevation gain. 5025 N. Academy Blv., 719-418-5939. Educational resources, educational toys, and special events. Promotional events such as: Mondays: Kids Eat Free; Tuesdays: $2 tickets; Fridays: Fireworks; Sundays: 50 cent hot dogs, Sox Kid’s Club & more! Interactive museum – space, science and technology. Events, programs, and summer opportunities for parent/child. Open to all ability levels and ages (including adults) with an intellectual disability. Unified Sports Partners: people without disabilities, athletically matched w/Special Olympians. Southeast Area services El Paso County (plus 20 others in the region), contact Georgeann Kulton, 719-574-8480 for more information. 2120 South Cheyenne Cañon Road,719- 385-6086. Bird-watching window, dioramas and hands-on nature exhibits, plus various programs. Free Cañon maps and regional information. Three trailheads service the Stratton Open Space: La Veta Way off Cresta Road; Ridgeway off W. Cheyenne Blvd; Trailhead on north side of road about .3 miles up from the main park gate by the Starsmore Discovery Center. 1401 Recreation Way (temporary office), 719-385-6855. Opportunities for youth and adults with intellectual/developmental disabilities; adult division for adults with physical disabilities. Areas: Arts & Culture; Sports, Fitness & Aquatics; Social Enrichment; Community Integration/Leisure Education; and Outdoor Adventures. Social Enrichment: Discovery (ages 6-12) a day camp for children with disabilities; In the Mix (ages 6-12)an inclusion day camp; TEEN S.C.O.P.E (ages 13-18) also a day camp during summer vacation. Outdoor Adventures: Adaptive water skiing, adaptive sailing, and whitewater rafting. Daytime Jaunts: (ages 18+) BBQ/Hayride, Broncos Training Camp. Hourly rates decrease with multiple hours; military discount. Acacia Park, corner of Tejon Street & Bijou Street. Kids bring a suit, towel & enjoy! Over 200 unpredictable streams of water, 52 vertical pop-up jets. Visitors Center, North Gate entrance (exit 156), with valid photo ID, 719-333-2025. 14-minute video of cadet life; items on display. 1750 East Boulder Street, 719-866-4618. 12 minute film; 45 minute walking tour – mostly outside. View athlete training facilities – call for recorded daily athletic schedule. 5210 South US Hwy 85. Gardening, farming, nutrition, & sustainability classes for adults, children or families; fall pumpkins. 225 North Gate Boulevard, 719-488-0880. Interactive exhibits bring the history of mining to life. Guided tours year round at scheduled times. Website lists the length of the trail, surface description, brief summary of trail and a star rating. Trails in the area: Midland Trail, New Santa Fe Regional Trail, Pikes Peak Greenway Trail, Rock Island Trail, and Shooks Run Trail. 3185 Venetucci Blvd., 719-477-2150 (Automated Info on Public Activities). Learn to Skate, Learn to Play Hockey, Public Skating, Speed Skating. 20 First Street, near Broadmoor Hotel, 719-635-5200. Largest collection of figure skating artifacts & films. Six YMCA Family Centers, Cottonwood Creek, Memorial Park Recreation Center, provide healthy living centers, pools, and amenities. Memorial Park & Cottonwood have individual & family day pass rates. Outdoor Summer Pools: Monument Valley, Portal, Prospect Lake and Wilson Ranch. Is this really the complete list? If not, please help me in adding to this list! Simply send an email (susanna@co-regroup.com) or add your suggestion in the comment section below. Parade of Homes Colorado Springs 2015 Is Here!